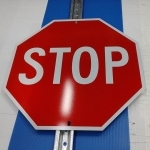 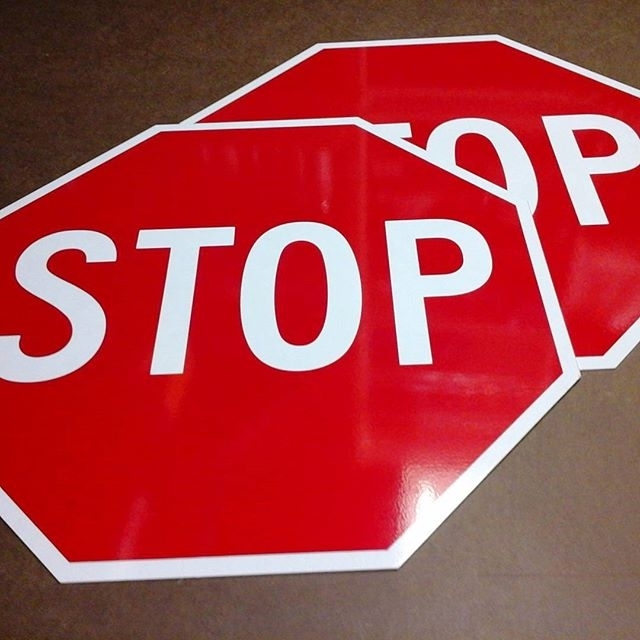 Stop signs come non-reflective .051 white aluminum (24″) or reflective engineer grade .081 aluminum (23.625″). 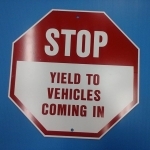 These are standard traffic STOP signs. There is also a Giant-Sized Stop Sign. Please inquire. 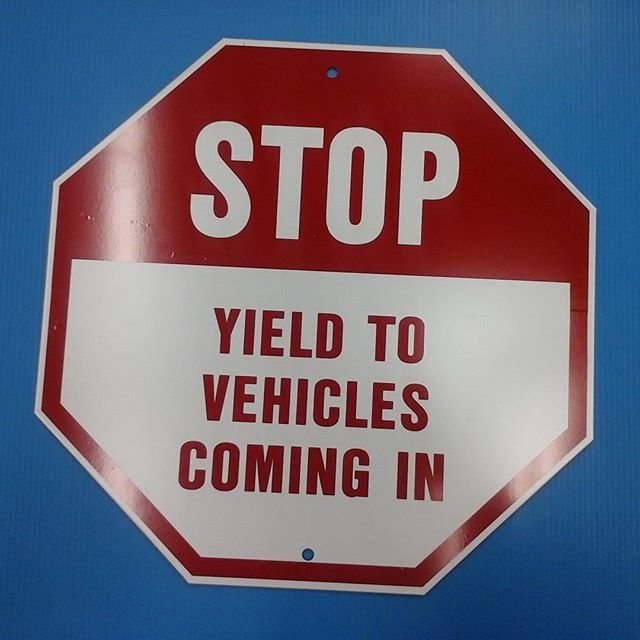 Stop signs can be used in street applications or parking lot applications. 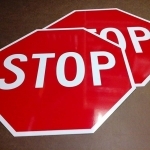 They are essential for regulating the flow of traffic and pedestrians. 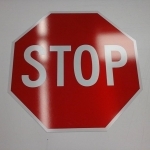 If you are purchasing a stop sign you might also require a U-Channel Post.